As we know it's been 2 weeks since the Google Penguin 4.0 real time algorithm (September 23rd 2016) stated to roll out to the core algorithm which has about more than 200 ranking signals. The complete roll out might take 2 weeks to 3 weeks as per Google's information and I believe there could be couple of tune-up in upcoming weeks to get the results even better. How is Google Penguin 4.0 different from previous updates? Algorithm now manages to devalue the spam instead of demoting the spam i.e. Google ignores the spam links and adjust ranking accordingly. This is the exact way the entire SEO industry, webmasters and business was looking for from very first Google penguin update which happened on April 24, 2012. Algorithms should be tuned for the better web results and the web results should not be tuned for the sake of algorithm! Now by using disavow tool, Google basically asks to help them to help you by using the disavow tool but it is not mandatory since the spam links are ignored by themselves. You technically need not use the disavow file to help fix your Google Penguin issues unless you get a manual action notification or if you knowingly spam the web frequently with bad link building and the site gets demoted. Since refreshed in real time, changes will be seen faster, once after Google re-crawl and re-index a web page. 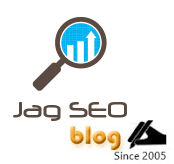 You can get the help from Google Webmaster manual fetch section. Now, no site wide penalty instead more granular, so could be a specific page impact for a specific keyword to the worst. 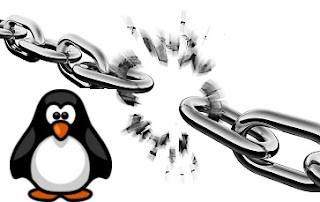 With the new changes of devaluing links in Google penguin algorithm even if the domain authority (DA) or page authority (PA) of the inbound links goes down, you need not worry, your website / web page doesn't get demoted. Assume, now on Google will be using the disavow backlinks section for the internal purpose of improving the algorithm and gradually in some time Google might remove the disavow tool once for all as to avoid technical challenge for the webmasters and businesses.